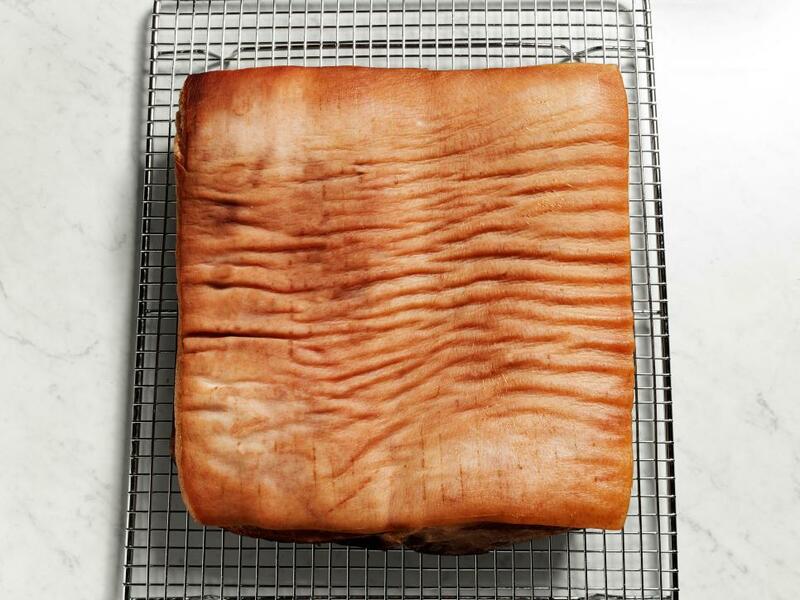 Curing bacon doesn't require special skills, you just need to be patient — the process takes about 10 days. Cam uses pork belly from a speciality meat supplier, but any kind is fine, as long as it is extra fatty. "The more fat, the more flavor," he says. Rinse the pork belly and pat dry. 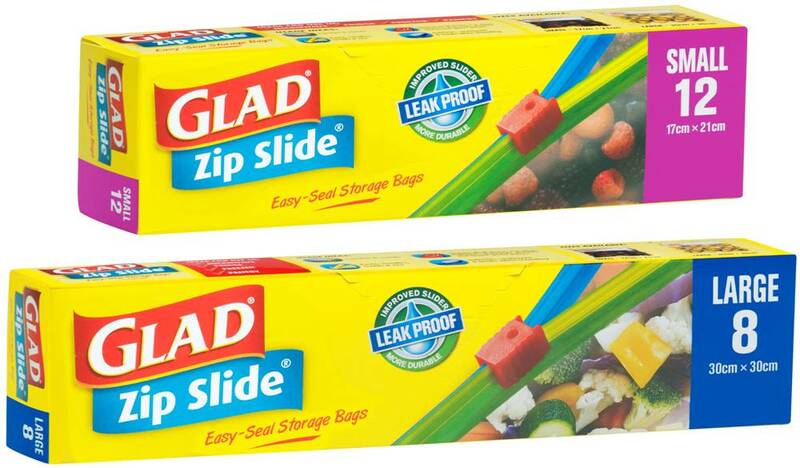 Transfer to a large resealable Glad zip slide plastic bag. To make the spice rub, mix the kosher salt, pink salt, brown sugar, honey, red pepper flakes, paprika and cumin in a bowl. Coat the pork belly all over with the mixture. Close the bag and refrigerate 7 to 10 days, flipping once a day, until the pork belly feels firm. It should take 7 days for a thin belly that is about 11/2 inches thick, longer for a belly that's 2 to 3 inches thick. Remove the pork belly from the bag, rinse thoroughly and pat dry. Refrigerate the belly on a rack, uncovered, 48 hours. 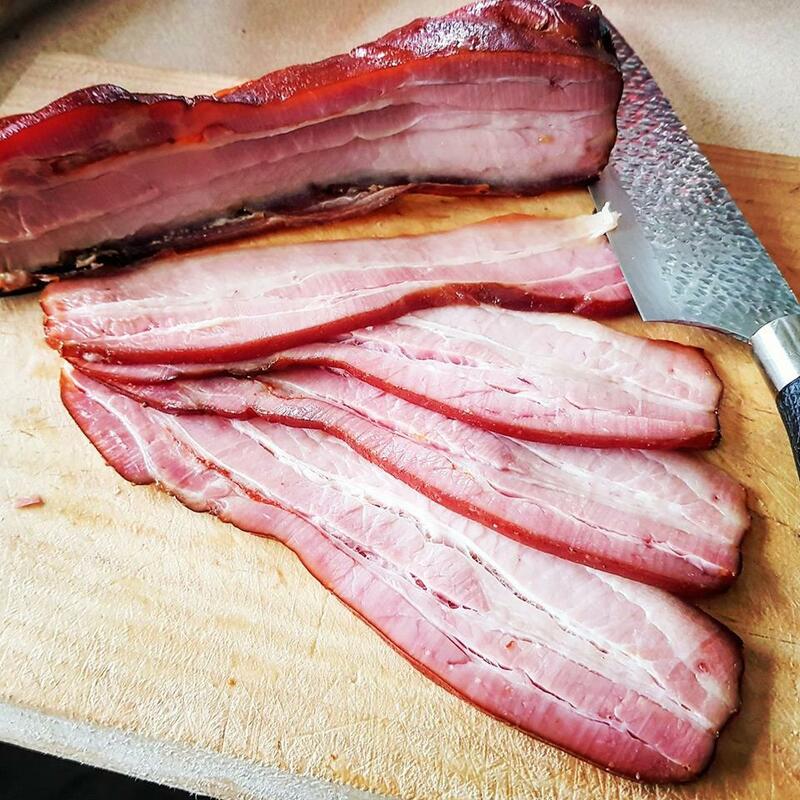 Set up your smoker according to the manufacturer's instructions using your preferred chips, and set to 95 degrees C. Smoke the pork belly 3 hours, or until the bacon reaches an internal temperature of 65 degrees C.
Remove the rind (optional), then slice and cook as desired. 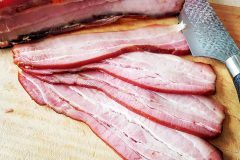 To store, wrap the bacon in plastic wrap and refrigerate up to 1 week or freeze up to 2 months. Pink curing salt is a mix of salt and sodium nitrite. 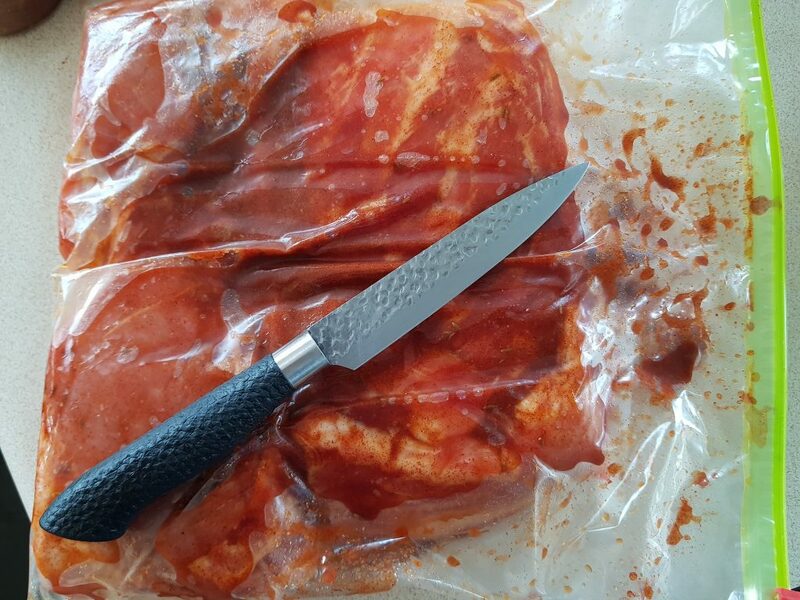 It keeps the meat pink and protects it from bacteria. You can find it at specialty food stores or online.